Frooti Drink - Fresh N Juicy Mango is completed of fresh juicy mangoes giving you a tang that will repeat you of the real fruit. 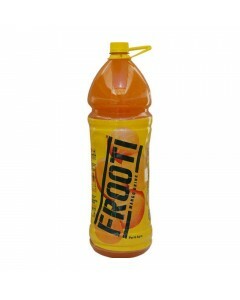 It is the mainly trusted fruit beverage brand. It brings out the youngster in every one and tastes great too. It ensures that you can get pleasure from the taste of the best-grown mangoes suitably throughout the year. Tetra Pak technology guarantees that the drink is preservative free and retains its superiority and freshness.